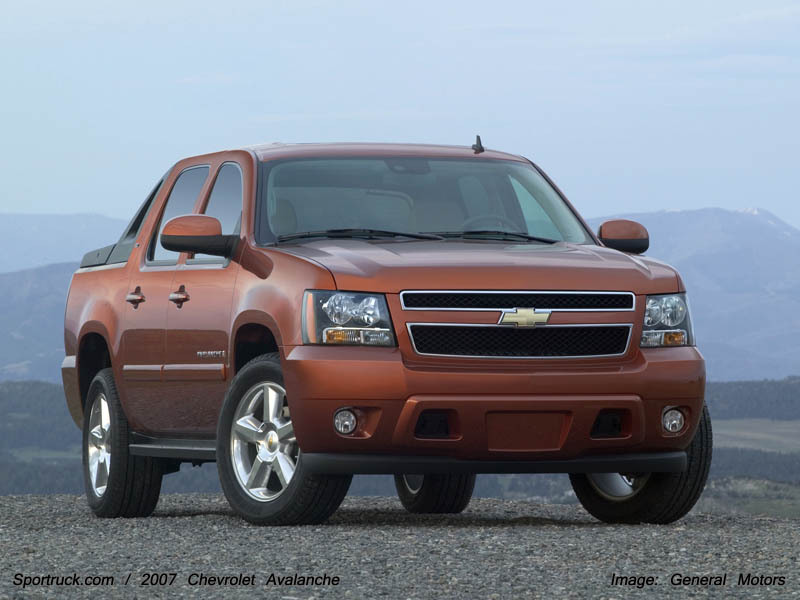 CHICAGO - General Motors will introduce the all-new 2007 Chevrolet Avalanche, the latest rollout of its next-generation full-size truck family and the industry’s most flexible utility vehicle, at the Chicago Auto Show. 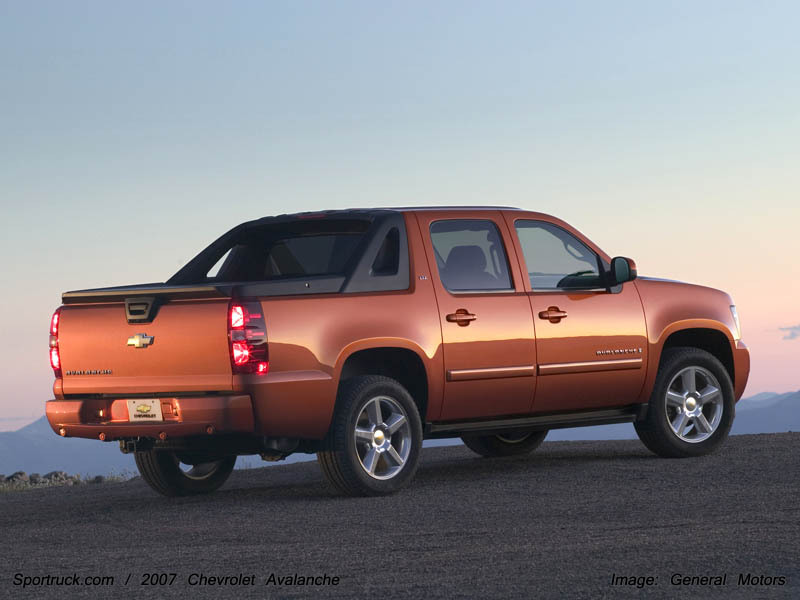 The Chevy Avalanche was the first to combine the passenger-comfort attributes of an SUV with the cargo capability of a truck. 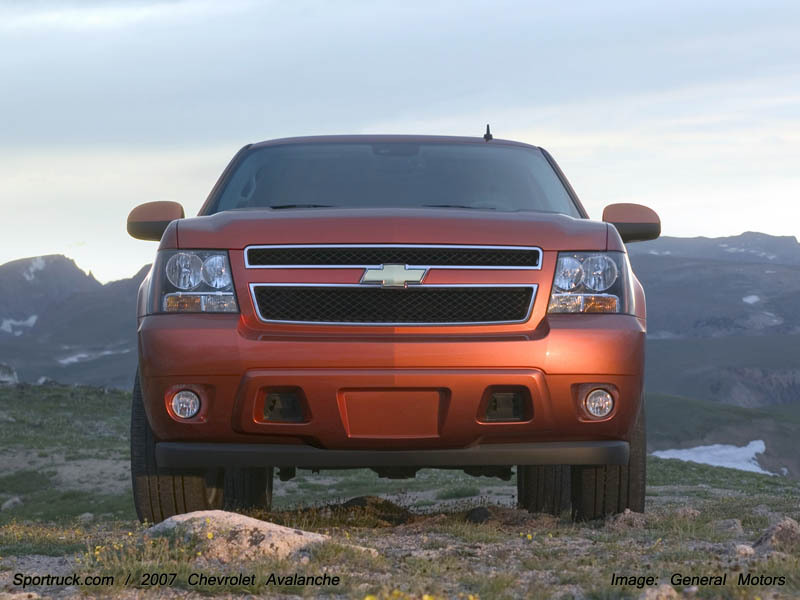 The 2007 model is based on GM’s brand-new, full-size SUV platform, which features more power with improved, segment-leading fuel economy and flex-fuel capability on some models; a sharper, more precise driving feel; increased interior refinement and improved quietness; and world-class safety. 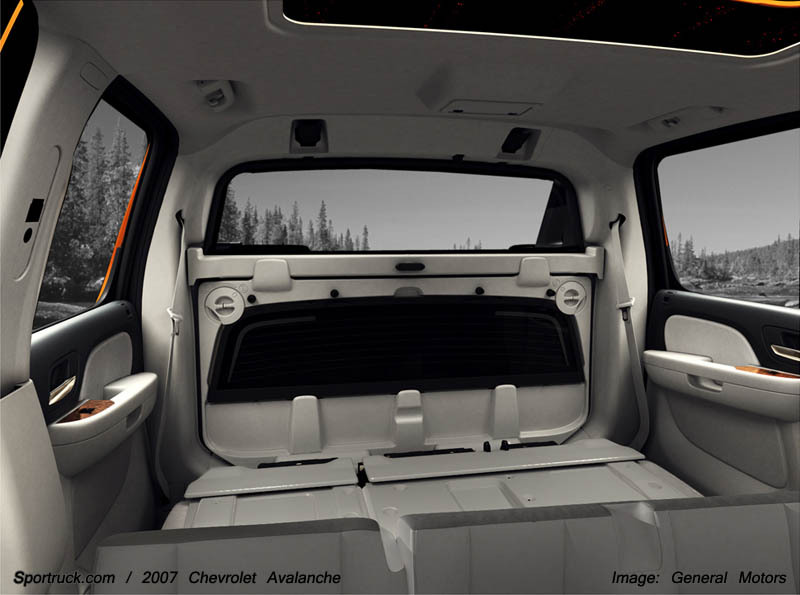 From its SUV comfort and ingenious Midgate to its new family of flex-fuel-capable engines, Avalanche delivers a unique combination of cargo and passenger options. 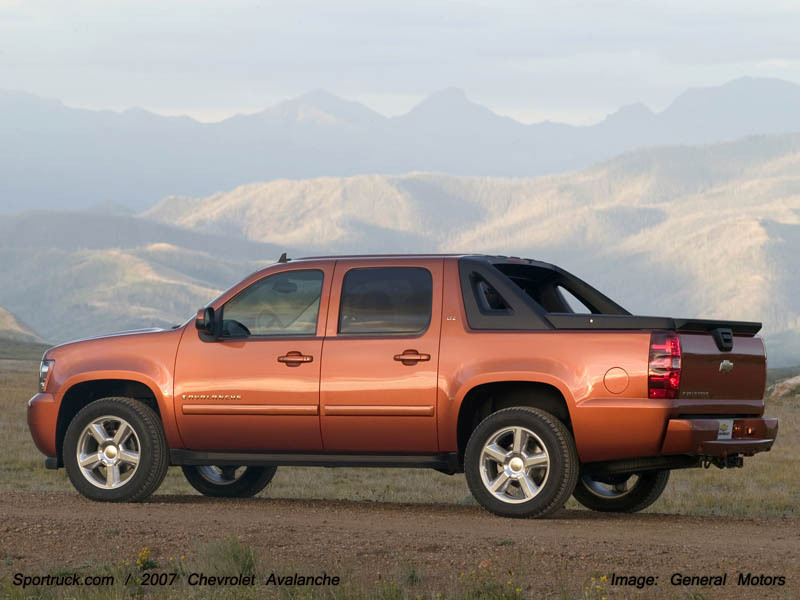 "Avalanche is a vehicle without peers, selling more than 379,500 units since its spring 2001 launch through December 2005," said Ed Peper, Chevrolet general manager. 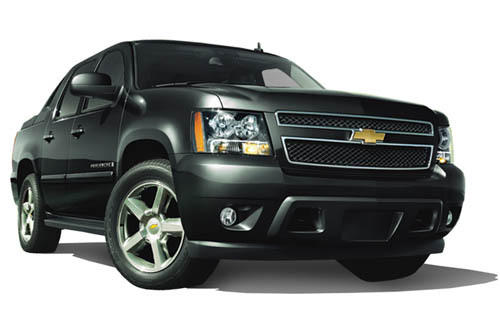 Avalanche is offered in LS, LT and LTZ models, with 2WD and 4WD. 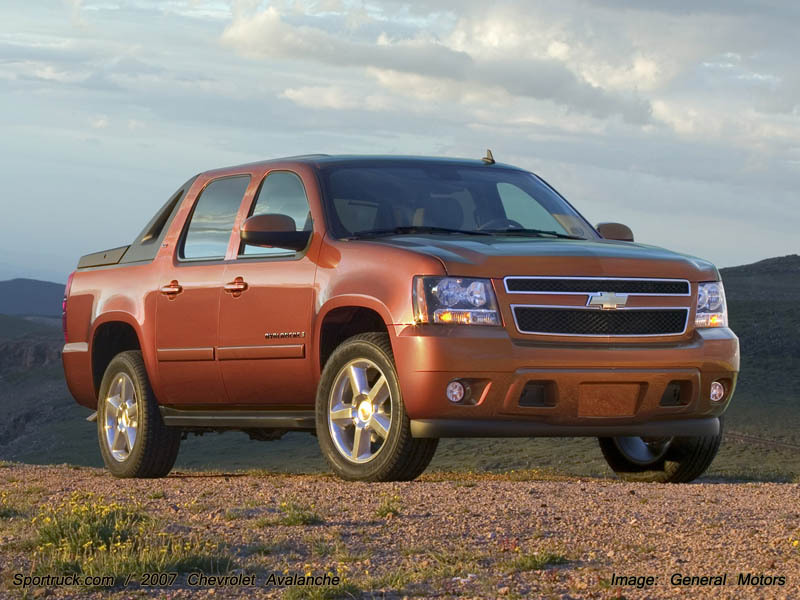 A Z71 off-road package will be offered later in the model year. 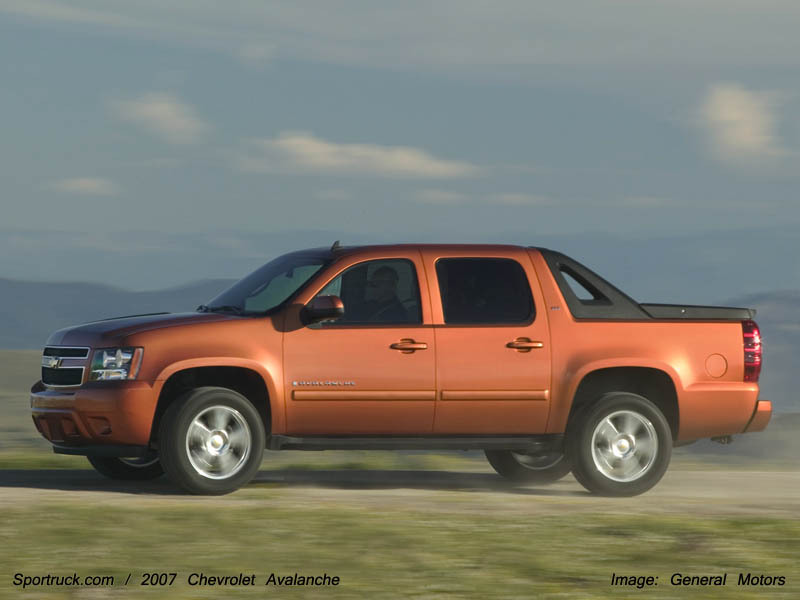 At the start of production, Avalanche will be equipped with an efficient 5.3L V-8 delivering 320 horsepower and 335 lb.-ft. of torque, along with Active Fuel Management technology, which seamlessly switches between eight- and four-cylinder power to save fuel. Two versions of the Vortec 5.3L Gen IV V-8 including an aluminum-block version that is standard in 4WD models are compatible with E85. They can run on any combination of gasoline and/or E85 fuel. Coming later in the year is a powerful, new all-aluminum 6.0L V-8 with variable valve timing and Active Fuel Management. The engine is rated at an estimated 355 horsepower. 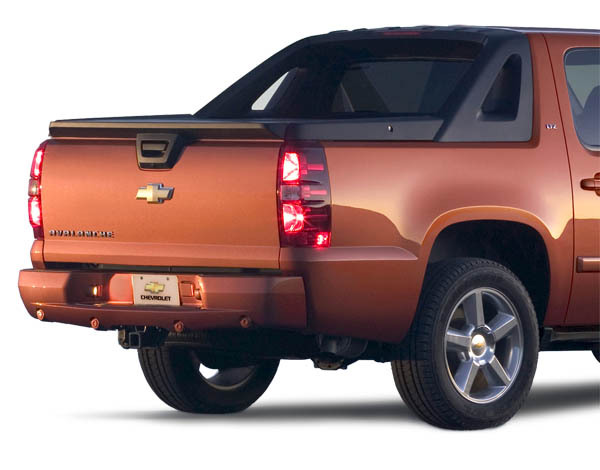 Pioneered on the first-generation Avalanche, the Midgate opens to extend the cargo-carrying capability from the cargo bed's 5.3-foot-long length to 8.2 feet - 2 inches longer than previous models. 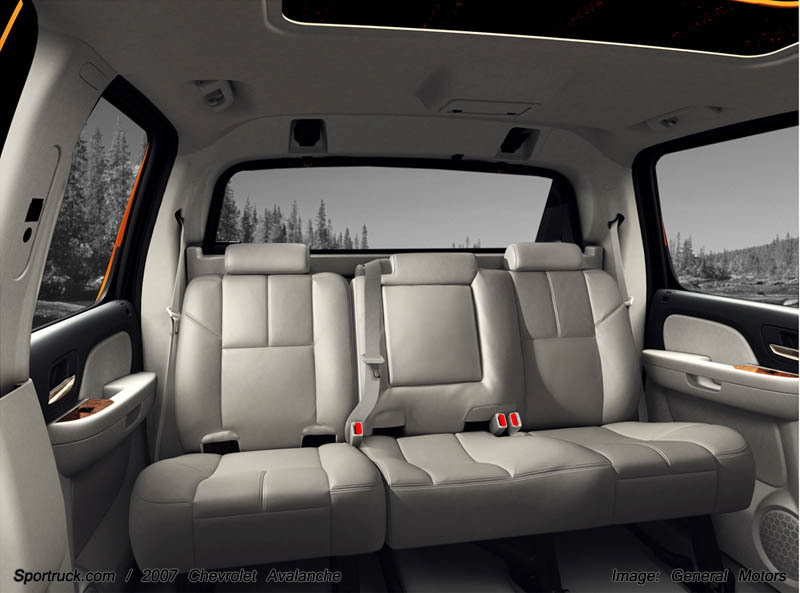 The rear seat must be folded to achieve maximum storage capability; with the rear seat up and the Midgate closed, Avalanche has room for up to six passengers. 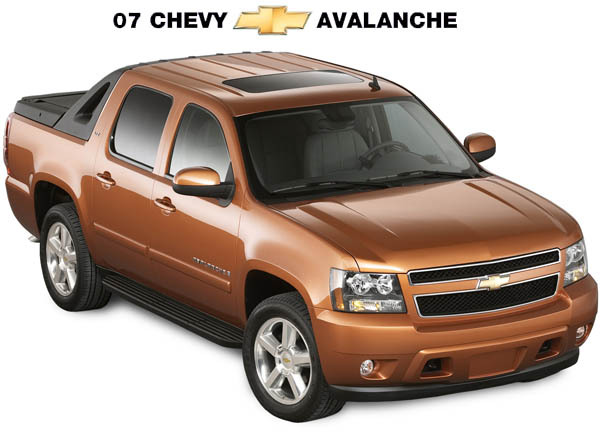 Avalanche also offers up to 8,000 pounds of towing capability, when properly equipped, enhancing its flexible, ready-for-anything capability. Central-locking tailgate - locking and unlocking the tailgate is more secure, as the conventional keyed lock is removed from the tailgate. Locking and unlocking functions are handled by the interior lock switches or from the Remote Keyless Entry fob. Remote vehicle starting - standard on some models and available on others, the remote vehicle starting system allows convenient start-up from a distance to pre-heat or pre-cool the vehicle’s interior. Cargo cover retaining straps - new straps allow the cargo covers to be held securely in place when removed from the storage compartments. 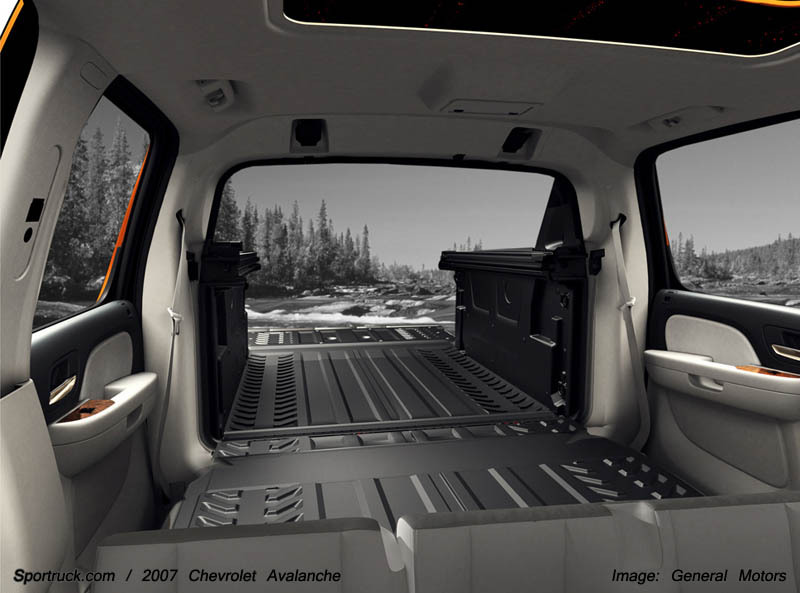 Avalanche also has a new tailgate that is spring-loaded to reduce the effort needed to open or close it.